Alongside lipstick, nail polish was also going up and down through a long, fascinating history to become iconic until now. Throw back to 3,000 BCE, Ancient China, women would dip their nails in the mixture of beeswax, egg whites, gum arabic and gelatin as well as dyes made of orchids and roses. Each dynasty even had its own favourite nail colors. Painting nails indicated glamour and social status. Cleopatra was one of the first Egyptians to paint her nails instead of supposedly her entire hands. In 1917, Cutex produced the first nail liquids with the dye from car paint, there was only red. But, 15 years later, Revlon introduced its nail polishes made of pigments, which could create different shades more than red. It’s no doubt that the idea of lacquered nails has never stopped. Many of us more and more get a kick out of it. 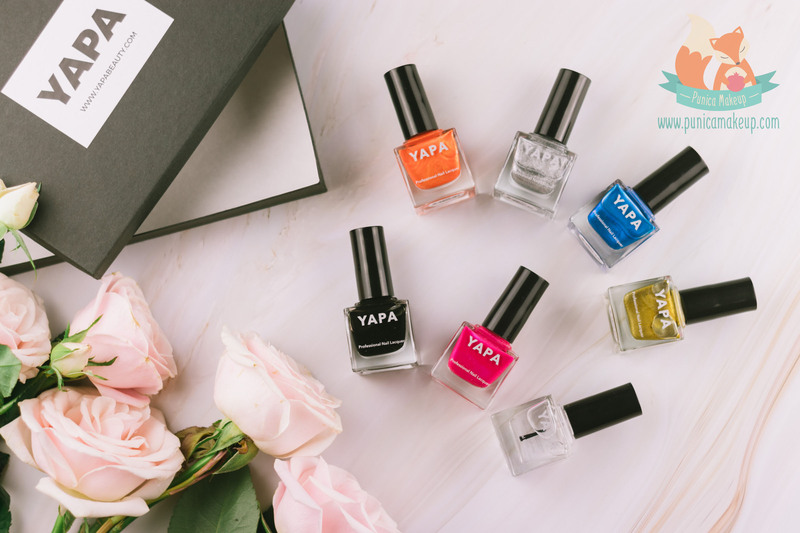 I had a little surprise up my sleeve, getting my nails done with some goodies sent from YAPA beauty a couple months ago. Wonderfully, nine stunning colors, including a top/base coat, however, my clumsy self accidentally broke two of them. 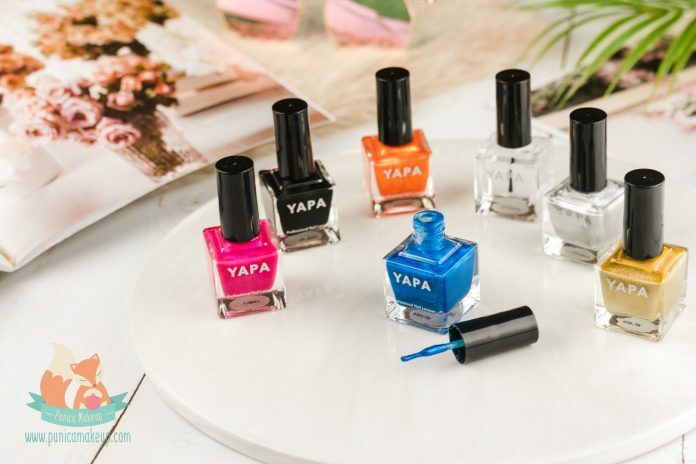 First of all, I terribly apologize for this and promise that I’ll do my best to bring a good review of these lovely YAPA Nail Polishes. 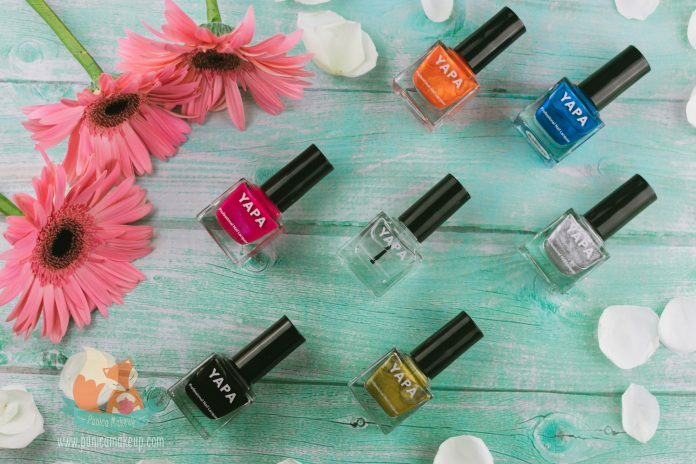 The YAPA nail polishes bring about high-performance formula with safe, less hazardous chemicals. They are solvents, plasticizers, film formers, suspending agents, stabilizers, UV absorber, binding agents and pigments. The products deliver weightless sensation and smooth coatings that are very durable and tough on nails. Furthermore, 100% vegan, cruelty-free and made in the USA. 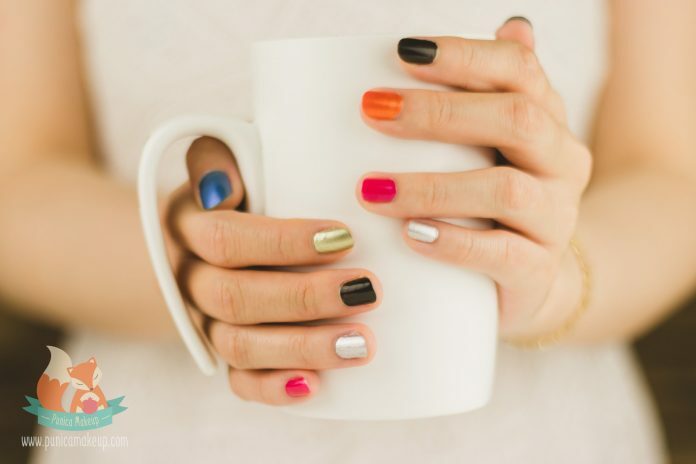 The brand guarantees that it does not use toxic, harmful ingredients in the nail production to protect people’s health. The signature feature is its non-infusion of harmful, toxic elements. This aims to guarantee our well-being. I love that, I love using things that will not make me negotiate against myself, whether it’s gonna drive me nuts or not. There are not any Formaldehyde, Toluene, Dibutyl Phthalate (DBP), Formaldehyde Resin, Camphor, Triphenyl Phosphate (TPHP), Xylene, Ethyl Tosylamide / Epoxy Resin, Lead, Hydroquinone Monomethyl Ether (MEHQ/HQ), Methylisothiazolinone (MIT) / Methylchloroisothiazolinone (CMIT) and Parabens. Also, it’s 100% gluten-free, vegan, cruelty-free and made in the USA. So, what in the blazes are these chemicals that we need to stay away from? Let me brief you. All of them may work as preservatives, plasticizers, hardeners, solvents, paint thinners, stabilizers/inhibitors, suspending agents or film formers. 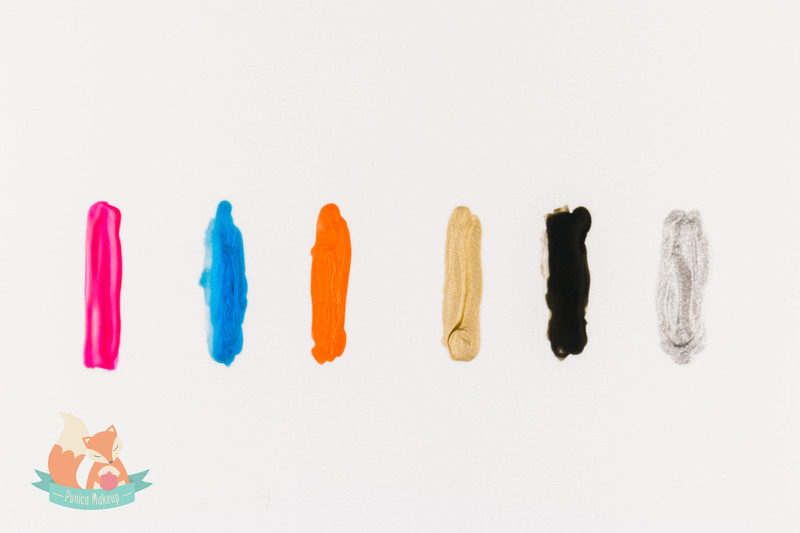 They help disperse the pigments evenly, provide silky coats, prevent chipping, increase the flexibility and durability and make the consistency fast-dry. Formaldehyde has shown to get our health doomed by causing cancer, skin irritation and allergies. Additionally, make sure that your products would not contain any Formaldehyde releasers, such as Quaternium-15, DMDM Hydantoin, Bronopol, Imidazolidinyl, Urea, and Diazolidinyl Urea. Toluene and/or Xylene exposure is fraught with headaches, dizziness, nausea, skin irritation, reproductive impairment and respiratory distress. Plus, Xylene is potentially a carcinogen. Dibutyl Phthalate (DBP) has been officially excluded from cosmetics as an endocrine disruptor by the European Union since 2004; otherwise still not restricted in the U.S. DBP is linked to endocrine disruption, developmental and reproductive toxicity and cancer. Despite there is no evidence that Formaldehyde resin/Tosylamide leads to cancer like regular Formaldehyde, it’s a skin allergen in relation to dermatitis. Plus, it’s more likely to contain the residues of Formaldehyde. Many sources have revealed that Camphor may take a great toll, such as skin irritation and allergies when topically applied. Moreover, inhaling it tends to provoke headache, dizziness and nausea. Triphenyl Phosphate (TPHP) used to be an alternative to Phthalates until it was found out making human reproductive system at stake. TPHP is classified as an endocrine disruptor. Even, it probably triggers weight gain in humans, waiting for further studies. Similar to Dibutyl Phthalate, Ethyl tosylamide has been banned from cosmetics and personal care products in Europe due to its antimicrobial properties and concern over antibiotic resistance. Lead is an extremely poisonous metal. It can result in developmental damage, learning difficulties, headaches, memory loss, mood disorders, exhaustion, vomiting and premature birth. Hydroquinone Monomethyl Ether (MEHQ/HQ) is identified as a culprit if swallowed. Able to cause severe eye irritation and skin allergies, possibly harm the unborn child and aggravate skin depigmentation. Methylisothiazolinone(MIT)/Methylchloroisothiazolinone(CMIT) has been already restricted in Canada and Japan. The Environmental Working Group assesses that MIT’s hazardousness is relatively high to bring the sensitivities and irritation of skin, eyes and lungs. Paraben is notorious for increasing breast cancer, estrogenic activities, infertility in males and oxidative stress. Moreover, Gluten intolerance can turn headaches, fatigue, depression, skin allergic reactions and abdominal pain from bad to worse. Formulated with Butyl Acetate, Ethyl Acetate, Isopropyl Alcohol (rubbing alcohol) and n-Butyl Alcohol as solvents. They keep other ingredients from separating, but also make the colorings hold up. Butyl Acetate has a sweet, fruity scent. Plus, Nitrocellulose and Polyvinyl Butyral as film forming and binding agents, which make nail polishes tough and long-lasting. Adipic Acid/Neopentyl Glycol/Trimellitic Anhydride Copolymer is a kind of fragrance and pH adjuster to stabilize the formulation. Acetyl Tributyl Citrate and Trimethylpentanediyl Dibenzoate are used in the nail liquids as plasticizers to minimize their flaking and prolong the durability. Acrylates Copolymer is a multitasker as a stabilizer, suspending agent and adhesive to create the films binding to nails. Stearalkonium Bentonite and Silica give thickening effects to manage the consistency flows during application and distribute pigments evenly per coat. Silica can also help reduce the gloss of nail polishes. Benzophenone-1 is a UV absorber to protect adhesives and coatings from external factors, typically sunlight and weathers. Alumina results in abrasive, anti-caking, absorbing and opacifying properties to maintain the fine quality of nail polishes with smooth coatings and high flexibility. Last but not least, the formula may contain Aluminum Powder (CI 77000), Iron Oxides (CI 77499/CI 77491), Red 34 Lake(CI 15880), Red 6 Lake (CI 15850), Red 7 Lake (CI 15850), Yellow 5 Lake (CI 19140), Ferric Ammonium Ferrocyanide (CI 77510), Mica (CI 77019), Blue 1 (CI 42090), Yellow 11 (CI 47000), Titanium Dioxide (CI 77891), Violet 2 (CI 60725) for its pigmentation. Hope that you all would not get overwhelmed and bored by the wordy lecture. I think the colors are genuinely terrific. Moreover, the products impart extremely lightweight feelings and velvety textures with low viscosity. The consistency is rather gel-based and not runny at all. It does not cause premature settling while applying. Very buildable without leaving streaks or patchy residues after drying, in spite of doing extra layers. Two to three coats can result in opaque coverage. First of all, I apply a base coat to protect my natural nails from staining. Choose randomly one of those colored polishes. Twist open the lid, wipe off one side of the brush against the inside of the bottleneck. Next, mildly tab the other side of the brush over the mouth of the bottle to reduce the amount that it’s gonna pick up. Begin with the middle of the nail, place the brush slightly away from the cuticle and lightly press it down toward the cuticle. Sweep the brush downward to coat the whole central part of the nail, including the free edge. Finish off the rest by starting from the same place that the first stroke did and curving the brush to match the nail shape on both sides. Like I did mention, you may need other strokes on top to increase opacity. To me, most of them do quite well. Stress-free to apply and control coats. Carefully get rid of excessive traces for a clean, tidy look with a small flat brush dipped in nail polish remover. Quickly apply a top coat as the final step to seal the polishes from wearing away. James is obviously vibrant pink, Nora is ocean blue and Mavis is deep black, these three have glossy finishes. They are really cut out for casual outfits. Nora seems prone to provide a semi-transparent coat with pretty low pigmentation and an extremely thin texture. But, it’s still decent, you may need two to three dips to achieve its full coverage. And, the pink, James, is totally fine. I have been enamoured with black nail lacquers, never out of style. Black mani-pedi drops a mysterious, badass hint. Compared with Nora, Mavis gives the same consistency, fairly liquified and semi-transparent. Otherwise, Mavis seems more pigmented with higher coverage. Gabrielle and Lola tend to deliver shimmery, metallic gold and orange respectively. I think these two are outstanding and lustrous with intense color payoff, especially Gabrielle. I’m so ready to paint my nails with them before hitting parties. If you are looking to paint your nails like disco balls, tip your hat to Stanley, which is glittery, sparkling silver. Its pigment is marvelous and rich, sleeking onto nails. The glitter holds up and spreads evenly all over my nails, it does not sink down at the bottom of the bottle. The products bring about a pungent smell, but it reduces a lot after setting in place. It may take about five minutes or even more for all coats to utterly dry. The nail polishes are not very long-wearing, within 7 days. Then, they start chipping off from the free edges. Make sure that you keep these nail lacquers in cool condition. I used to leave them idly in my room for a week in hot weather. It looked like there were two separate substances floating in the bottle, especially in case of Gabrielle and Lola. They could not stand the heat. I know that a lot of nail lacquers these days are made of some better ingredients, but it does not mean that you can let your guard down. The chemicals in these mani-pedis are still able to leach into your body. They have not been conclusively safe to us yet. Be alert and a reasonable user. Plus, remember not to bite your nails coated with nail polishes. Many of us usually have that habit and potentially get negative effects on our health. Housed in a small glass, transparent bottle with a black lid. There is not much information on the bottle. Please handle with care the nail polishes. They are obviously breakable. The applicator is a thin, small brush with soft bristles, which can get into the very ends and corners of the nails and obtain defined applications. I do love these colors, they are literally amazing. I’m very into Stanley and Mavis. I also like Nora, but I just wish for its more concentrated pigment. Anyway, it still looks great when applied to my nails. So, I’ll give 8 out of 10 for all of these nail goodies. This is the first time I do a review about nail polishes so it might not be very good. I hope you will find it helpful and enjoyable. Please let me know your thoughts. Any time, I’m so willing to hear you out. Thank you so much!